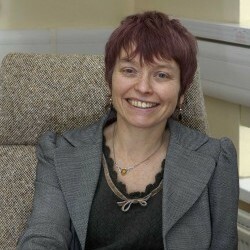 Valerie Evans joined the Ministry of Defence in 1976, direct from Salford University where she had gained a BSc Honours degree in modern languages (French and German). Her initial career within the then UK Ministry of Defence Procurement Executive involved a range of finance and secretariat, defence export services and commercial posts. She served as the first secretary for defence supply at the British Embassy in Bonn from 1988-1993 before returning to the UK to a wide variety of jobs, from the production of the Project Managers’ Handbook to the MOD Main Building Redevelopment where she ultimately signed the £1.6 billion PFI contract. Following promotion to the Senior Civil Service in 2007, she served as Head Commercial Combat Air, and then Head of the UKMFTS (UK Military Flying Training System) Project Team with responsibility for this complex, incremental, 25 year benefits-driven PPP programme. She took up her role as Head of DE&S International Relations on 1st June 2011, covering the portfolio of UK international equipment business in NATO, EDA, OCCAR and bilaterally.